Of late, the recent forecast of low rainfall during the monsoon is a concern for many. The onus of this goes to El Nino acronym of El Nino Southern Oscillation that a country experiences in a cycle of three to seven years. It occurs when there is an interaction between the warm water of Pacific Ocean and atmosphere. 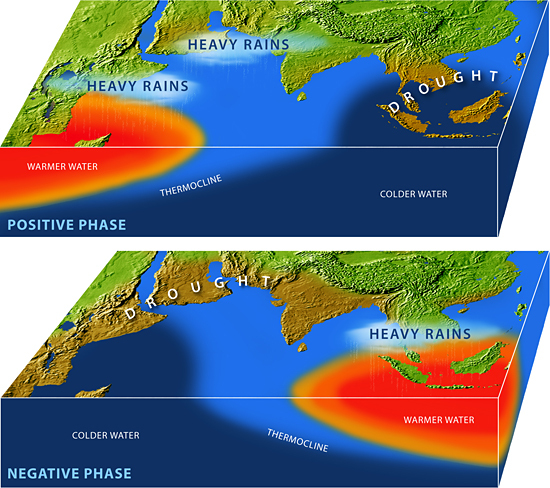 This causes different weather events ranging from floods to droughts across the gold. El Nino meant The Little Boy and was first recognized in the coastal areas of South America during the seventeenth century. Monsoon in India influences Australia and different regions in South East Asia. It impacts the economy of the country and that of neighboring countries. This prediction has also raised eyebrows of farmers and economists alike. The agricultural sector of the country is likely to suffer from crop damage and unseasonal rain due to this phenomenon. In the country, agriculture depends on monsoon largely due to the requirement of water. As consequences of El Nino, there will be sparse rainfall, and it will impact the agriculture. Owing to this, there will be a rise in food prices and inflation. The ace banking authority in the country has stated in the first installment of monetary policy the chances of inflation. As per the bi-monthly policy, if there is less rainfall than the normal level then there will be fluctuation in the price of fruits and vegetables in comparison to regular patterns. It is expected that this will have an impact on the overall economy of the country. A noted international investment bank has warned officials of the country against the rise in food price due to El Nino. Few researchers of noted universities have predicted the country will face the adverse effect of El Nino. The absence of large reservoirs that is effective in moderating impact of drought on the supply of food will add to the adversity. Going by the historical data, last years the rainfall was lower than what the meteorological department forecasted. As a result, there was a steep rise in the process of potatoes, onions and fruits. Last time the country faced El Nino, it resulted in drought and a steep rise in the price of food items. Agriculture contributes to almost fourteen percent of the Indian economy. Any adverse weather condition leads to a low growth of GDP and causes inflation. El Nino seems to impact the economy of the country directly. It will reduce the production of sugarcane, rice, cotton, oilseeds and corn to name a few and increases the price of crops in the domestic market. Now, the only sigh of relief is a working paper by the ace international monetary organization. It will help to dispel fear and anguish related to the impact of El Nino on the Indian economy. As per the report, in last one decade, there has been a reduction in the contribution of agriculture to gross domestic product, and this will mitigate the adverse effect of El Nino on the economy. There has also been an expansion in total agricultural land, and this helps in lowering its impact on the economy.